Worth of trees & forests. is an Ancient and Medieval ideal to guide our behavior. There is a hint in the origins of this word and the descendant words about what European valued. This view of the lower Colorado River valley is an example of the tension between human designs based on economic demands and the natural dictates of the organic arrangements of rivers and floods. When do ecological considerations become important? Where do ecological concerns arise? How are humans tied to ecology? How do arguments over ecology develop? Why are services provided by ecological functions so important? Interpreting nature as one approach to natural law. How ought we to think about nature as to better express the complexity of a forest? As the source of wealth, from the German word for forest "WALD" is derived the English word "WEAL" meaning woods, or forest. The weald is the name for a particular English forest but it derives from the old English word meaning a forested area. Water, energy, air and land contribute to the "revolving fund of life" that is manifest in any forested landscape. Since trees are the source of primary productivity in a forest taking sunlight, water and carbon dioxide to make oxygen, all forests are carbon sinks. Trees also pump water from the land and hold the soil to store water for rivers and springs. By shading the countryside, forests lower the temperature and trees cool structures that they cover. Vegetated land retards erosion that would otherwise destroy fisheries in lakes or streams. Forests are a source of timber and grazing land for herd animals or game animals. Forests are often a symbiotic relationship of trees, root fungus and lichens. 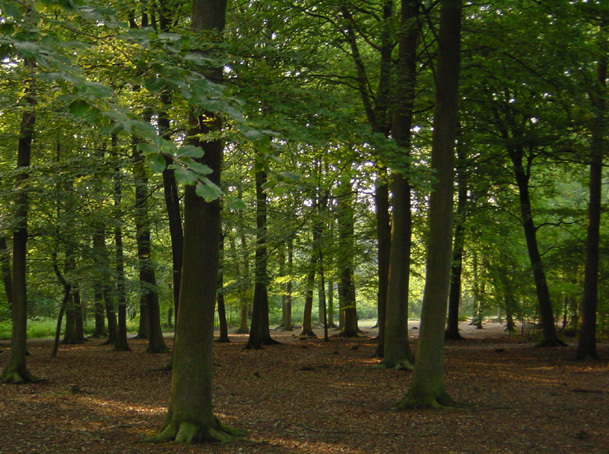 A section of the English forest called the Weald. What are the values of nature? Scientific or ecological, utilitarian, aesthetic, historic places, cultural identity, intrinsic qualities all inhere in natural areas; so these are called the values of natural areas. They are derived from the laws of nature. ecological, functionally necessary parts of the earth, sea, and sky in any locale. utilitarian, the greatest use for the largest number of people of the natural resources in a place. aesthetic, the beautiful or stimulating sensory features of any terrain. historic places, the commemorative, or memorialized events that took place in a site. cultural identity, rituals, observances, or requisite behaviors that natural places evoke in people. intrinsic qualities, such as dry wind, liquid water, radiation from sunlight; found in any setting. That means inherent or intrinsic to all places, terrain, locations, or areas are a variety of human values. These six complementary or competing values are very different and can be antagonistic to one another depending on the features and elements in any geographical setting. For example not all scientific values are ecological in that mining for uranium may be scientific, but the waste generated may harm ecological processes. Natural Law is not synonymous with laws of nature, but they are related in that both refer to the organic relations as useful to explain either our duties, in the case of Natural Law, or our limitations in the case of the three laws of ecology as examples of laws of nature. A law of nature, for example, is gravitational attraction that causes rivers to flow from high sources to low basins and as they do they meander, or shift also from one side or bank to another. Natural law, on the other hand is a belief that humans share a divine reason with their creator and that human life is endowed with inalienable rights. From such rights Franklin Roosevelt articulated the four freedoms during the Second World War; the freedom to live freely, worship without fear, freedom from want, and freedom from disease or ill health. Both from utilitarian (calculable or measurable) and ecological perspectives forests serve a worthwhile purpose.  Supplies renewable timber, paper, and fuel products. 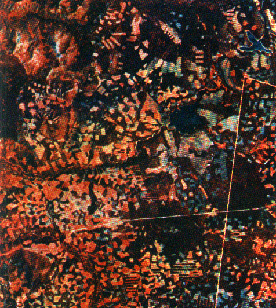 The areas in infraredaboveare sections of a forest in Oregon that have been cut for lumber. Only the last of these six complementary values has a market price determining the economic value of the tree, yet the other five ecological services performed by trees have little or no monetary worth. Antilles forests of the Americas. Ancient word for forests reveals their wealth. National Forests and Parks are often unhappy neighbors. 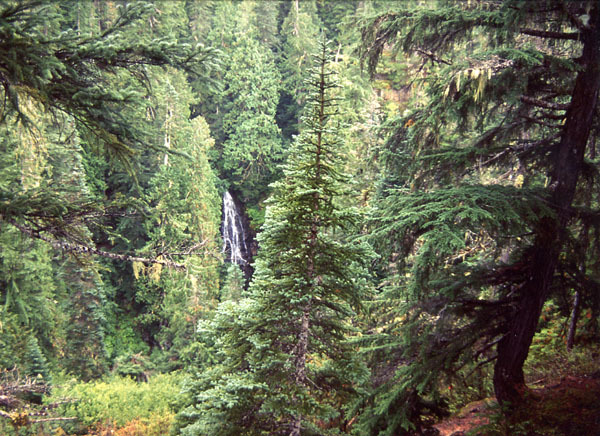 The Olympic National Forest surrounds the Olympic National Park. Suppose that you are a member of a technical advisory committee to determine the fate of a forest?